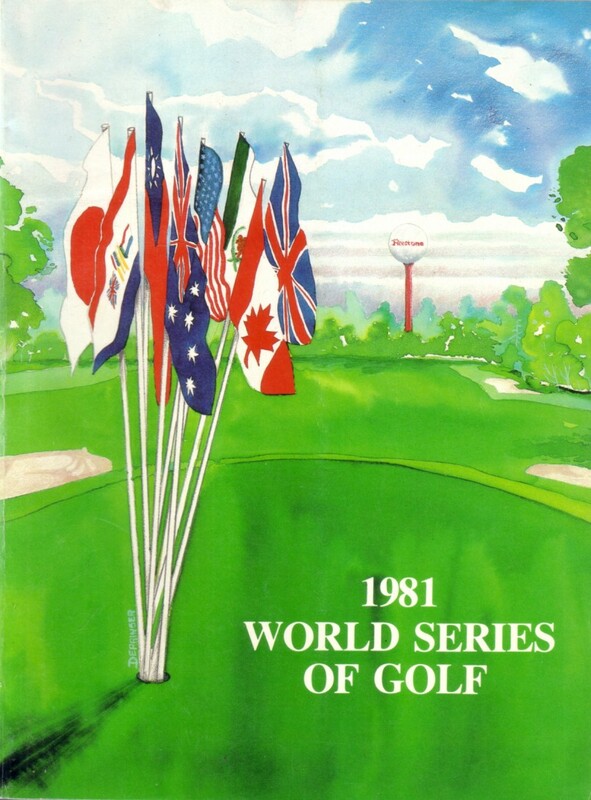 Set of original complete magazine size program and Thursday pairings guide from the 1981 World Series of Golf played at Firestone Country Club. 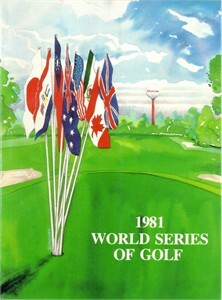 This event was perhaps the PGA Tour's highest profile non-major tournament for many years. Bill Rogers won in 1981 but 1980 winner Tom Watson is featured on the pairings guide. Both items have minor flaws and wear. ONLY ONE SET AVAILABLE FOR SALE.